RJ45 cable connector carrier for pre-assembled RJ45 plugs consists of black chromium shell, bushing and boot. 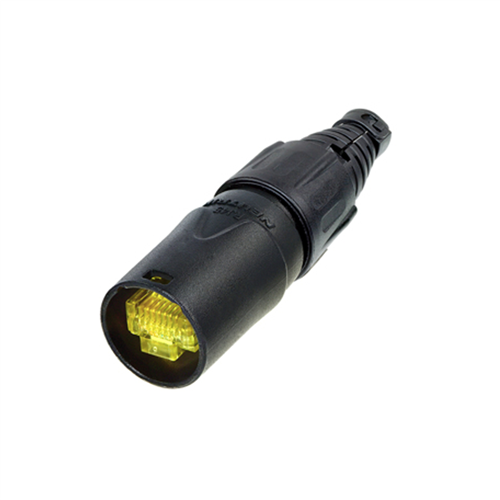 Packed with two cable protection elements for cable diameter either up to 5 mm or 8 mm. Cable connector carrier does not include an RJ45 plug.